At Ecoprint, we believe in the importance of supporting and engaging in the community around us. We participate in a little bit of everything, from sponsoring corporate responsibility conferences to local races and parades. We'd love to see you at one of these events - come pick up some fun swag and say hi! To get in touch with us about sponsoring or attending an event, please click here! What: Ecoprint is proud to be the responsible print partner of COMMIT!Forum, one of the longest running conferences in corporate responsibility (CR). After a decade in New York City, COMMIT!Forum is convening at the newly christened MGM National Harbor, just outside Washington, D.C. The forum brings together CR and sustainability practitioners to network, share best practices and tools, engage in healthy debate and celebrate success. There will also be a number of professional development workshops on the changing landscape of reporting and communicating CR and sustainability. When: Pre-conference workshops will be held October 10th from 8:30 AM to 5:00 PM. The forum itself is October 11th - 12th. Where: MGM National Harbor at 101 MGM National Avenue in Oxon Hill, MD. Who: COMMIT!Forum attendees are leading business by making environmental, social, and governance progress throughout their organization, supply chain, and communities. For more information or to reserve your conference tickets, please click here. What: Howard Community College (HCC) has partnered with Columbia Association and the American Heart Association to put on this fundraising 5K. In 2016, 48% of HCC students needed financial aid and the proceeds of this race are used to meet those needs. Come see if you can beat the Ecoprint team's time! When: Sunday October 29, 2017 at 8:30 AM. Where: Howard Community College at 10901 Little Patuxent Parkway in Columbia, MD. Who: Any business and individuals who want to run for a good cause! 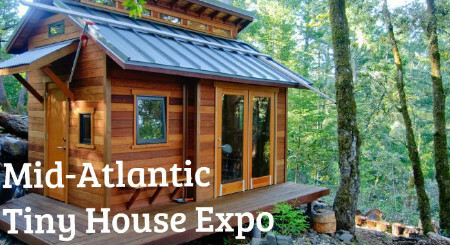 What: Ecoprint is thrilled to be the official printing vendor for the Mid-Atlantic Tiny House Expo! For the first time ever, tiny house enthusiasts from all over the mid-Atlantic region will converge at the Howard County Fairgrounds in late October to sell, purchase, and admire tiny houses. The expo is open to the general public so anyone with an interest in sustainable housing should get tickets! On top of being fun (and adorable), all the net proceeds from the event will go to CivicWorks, a nonprofit organization working to strengthen Baltimore’s communities through education, skills development and community service. We hope to see you there! When: October 28 - 29, 2017. General admission starts at 10 AM and goes until 6 PM on Saturday and 5 PM on Sunday. Where: The Main Exhibit Hall of the Howard County Fairgrounds in West Friendship, MD. Who: Everyone interested in sustainable building and admiring, buying, or selling a tiny house! For more information and to get tickets, please click here.